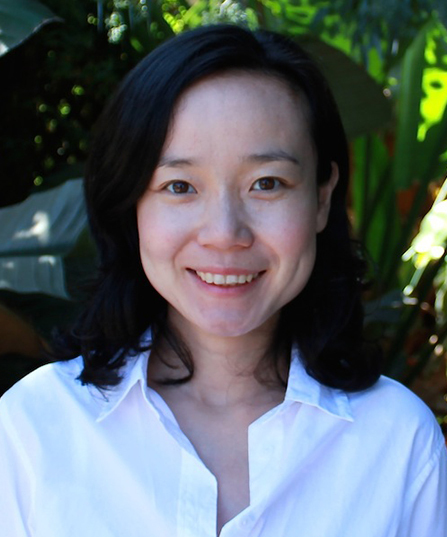 Weiyi Shi is no stranger to the UC San Diego School of Global Policy and Strategy (GPS). Barely a year ago, she was working with students as well as faculty from GPS as a Ph.D. candidate in the political science department at UC San Diego. But, returning to campus after a postdoctoral research fellowship at Princeton University’s Niehaus Center for Globalization and Governance, Shi is observing more than the renovation changes to GPS’s classrooms. Many new faculty, like her, will be teaching in them. Shi will be teaching two courses in her first year at the School. They are International Political Economy: Trade and Investments and China in the Global Economic Order, both offered in the spring. For the past year, as part of her postdoc, Shi has been conducting research on Chinese firms' trade and investment behaviors, interaction with the Chinese and host country governments and impact on local communities. She also has spent time further developing her dissertation into a book manuscript. This focus, Chinese investments, was somewhat inspired by her international development work in Laos between earning her master’s in economics from Stanford University and beginning her Ph.D. at UC San Diego. She happened to be in the country during a time when China started to expand rapidly economically in the region. “I got really curious as to what was driving all of this,” she said, adding that curiosity eventually played into the theme of her dissertation. “Initially I was kind of intimidated by the lack of academic research on this topic and the daunting task of collecting data. Ultimately I decided to go for it because that’s what I was excited about when I woke up in the morning.” The dissertation led to more extended fieldwork and survey efforts in China and in Zambia. However, Shi doesn’t have tunnel vision only to research Chinese direct investments. She is also keenly interested in China’s domestic politics and international trade/investment issues broadly. One of her current papers, for instance, evaluates China’s online survey population. She also is working on the security implications of China’s economic rise. Shi will be travelling to Philadelphia in September to present at the American Political Science Association’s annual meeting alongside several other GPS faculty members. As part of a mini-conference, “Chinese Politics: Contestation from Within and Below,” Shi will partake in panels with GPS’s 21st Century China Center Affiliate Scholars Margaret Roberts and Yiqing Xu, as well as Associate Professor Victor Shih. In a separate event, she also will present on "The Visible Hand: State Preferences and China’s Outbound FDI." China’s economic rise arouses both hope and anxiety. My research hopes to inform scholars, as well as the policy community, with sound empirical evidence. I’ve given talks at the Council of Foreign Relations, the World Bank and written several op-eds. My goal as an educator is to encourage students to ask interesting questions and seek creative and scientific ways to answer these questions, including developing an analytical toolbox. I want students to bridge theory and practice and to think about real-world applications of the toolbox they acquire in the classroom. My research is at the intersection of international political economy and Chinese politics.